Washington DC: Big Mountain Support Group, 1986. 8.5x14 inch poster, very good. The rally in DC opposed government and energy company efforts to clear the Native population from the area of Big Mountain, Arizona to make way for coal and uranium mining. Calls for repeal of Public Law 93-531. Phoenix: AGRA/IGRA, 1999. Magazine. [16p] 8.5x11 inches, event schedule, ads, photos, very good souvenir program booklet in stapled pictorial wraps. Opening page dedicates this event to Matthew W. Shepard who was murdered in Wyoming two months earlier. Phoenix: AGRA/IGRA, 2000. Magazine. [24p] 8.5x11 inches, event schedule, ads, photos, very good souvenir program booklet in stapled pictorial wraps. Phoenix: New Times Weekly, Inc, 1979. Newspaper. 40p. folded tabloid newspaper, articles, news, listings, photos, ads, reviews, mild wear and toning on newsprint. 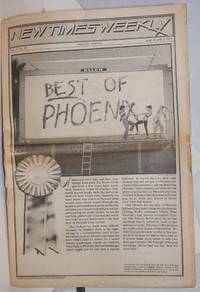 Phoenix alternative tabloid. Tempe, AZ: Macro Books, 1974. Paperback. 281p., wraps, spine creased, papter toned, previous owner's name on title page else good condition. Pocket book format. Second printing, frist published in 1971. 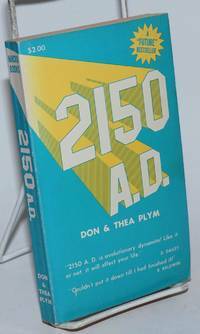 New age science fiction / utopian novel. [Phoenix-? ]: the author, 1975. [16p. 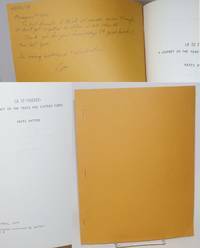 ], 8.5x11 inch mimeographed sheets stapled at left, plain cover, stated limitation of six, of which this is numbered Zero; tender inscription penned by the author inside front cover. Not found in OCLC as of October 2018. Collection of poems about the author's move from Los Angeles and her relationships. The inscription is to Moonyean [Grosch, of Womansplace Bookstore in Phoenix] and her partner at the time. Patton was later the co-editor of "Graphic Details: Lesbian Erotica & Humor. Phoenix, AZ: Pierian Spring, 1974. 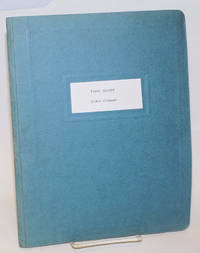 31 leaves, 8.5x11 inch mimeographed sheets bound in a generic folder with a title label pasted on. Very good. 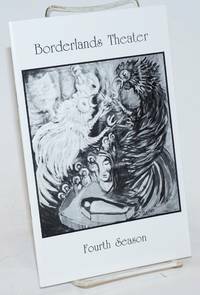 Self-published poetry collection, some touching on feminist themes. 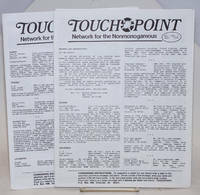 Chloride, AZ: Touchpoint, 1995. Two issues, 10p. 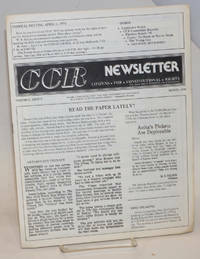 each, 8.5x11 inches, personal ads (no photos), some brochures and materials laid-in, very good newsletters. Tucson: Borderlands Theater, 1990. [20p] including covers, 5.5x8.5 inches, cast, season schedule, production staff, advertisements, cast bios, very good first edition program booklet in stapled pictorial wraps. 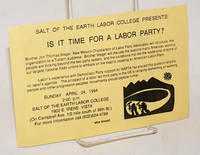 Tucson: Salt of the Earth Labor College, 1994. Single 8.5x5.5 inch leaflet, landscape layout, black text and graphic on yellow stock, mild wear to left edge and a fold crease. Handbill announcing the College's presentation given by the College and Brother Jon Thomas Weger introducing the American Labor Party to Tucson. Tucson: Consulado de Mexico, Mexican-American Studies and Research Center, University of Arizona, 1992. 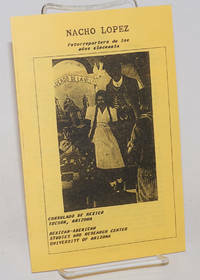 Four-panel brochure, 5.5x8.5 inches, textin Spanish and English, accompanied an exhibit of the photographer's photos of Mexico, very good on yellow stock, cover photo. ì¡Somos Parte!! 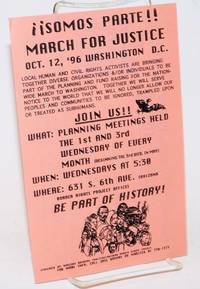 March fo Justice/Open House given by Derechos Humanos Coalition/Arizona [leaflet] Oct. 12, '96 Washington D.C. [Tucson? ]: Derechos Humanos Coalition, 1996. Single leaflet 5.5x8.5 inches, printed both sides, text and graphic on pink stock. Front side is an announcement for a march by the Arizona organization in DC and the back side an invitation to an open house also sponsored byArizona Border Rights Project. [Tucson]: MEChA et al., 1995. 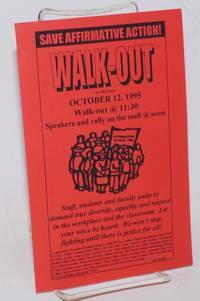 Single leaflet, 5.5x8.5 inches, printed one-side only, graphic of a crowd of protesters with banner, very good, available in various colors, red, white, pink. "Staff,students and faculty unite to demand true diversity, equality and respect in the workplace and the classroom. Let your voice be heard: We won't stop fighting until there is justice for all!" Not stated anywhere but likely University of Arizona at Tucson as it came from a UA professor's collection and Salt of the Earth Labor College was one of two dozen sponsors including CP, USA. Tucson: MASRC/University of Arizona, 1999. 8p., 8.5x11 inches, articles, events, services and resources, photos, tables and figures, very good newsletter in stapled white printed wraps. 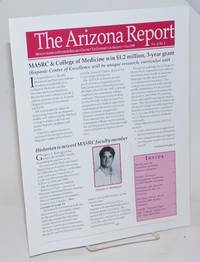 Cover story on MASRC & College of Medicine winning $1.2 million and a 3 year grant Also a study on AIDS risk reduction and cultural values. Washington DC: National Council of La Raza, 1989. 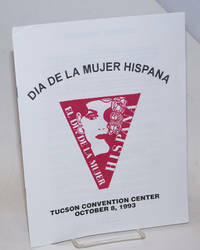 9.5x11.5 inch white glossy folder containing an 8.5x11 inch NCLR introduction handbill and four 8.5x11 inch handouts of various pagination, three stapled and one a single sheet, La Raza stationery, typed with 1989 Annual Conference information, Fact Sheet, program estimated costs and numbers of attendees etc., Torres' business card inserted, very good. Tucson: Mexican-American Studies Research Center, 1993. [8p] includes covers, 8.5x11 inches, keynote speakers, planning committee, presenters, program in English and Spanish, workshop schedules, floor map, very good in stapled white pictorial wraps. By Bergier, Bob, Carlos S. Moyah, drawings, Rose E. Piper, Bernie Gonzales, et al. Nogales, AZ: Pimeria Alta Historical Society, 1992. Calendar. 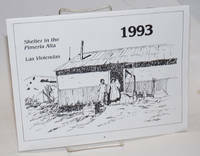 [32p] includes covers, 11x8.5 inches landscape layout, texts in English and Spanish, calendar for 1993 illustrated with drawings and photos of shelters in the Pimeria Alta region, very good in stapled pictorial white wraps. 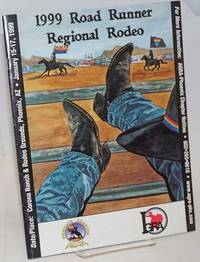 The region is comprised of Southern Arizona and Northern Sonora. Dedicated to the homeless of all peoples. 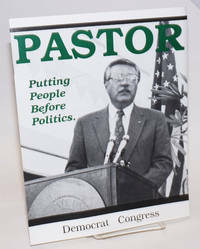 Phoenix: Pastor for Congress Campaign, 1991. [8p] includes covers, 8.5x11 inches, photos, letter of support from Rios, statements, very good campaign brochure in stapled glossy pictorial wraps. Arizona Democrat. 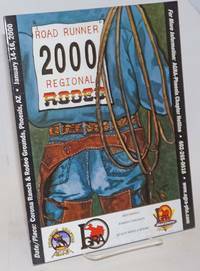 Tucson: no publisher noted, 1998. 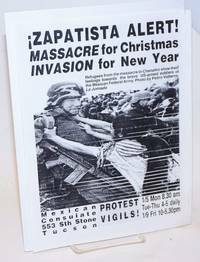 Single 8.5x11 inch handbill printed both sides, front with Valtierra photo from "La Jornada" and dates, times and place of protest, rear panel with a report on the EZLN denunciation and the latest news, also contact addresses, names and numbers.